It might be taking longer than usual, but spring is almost here. 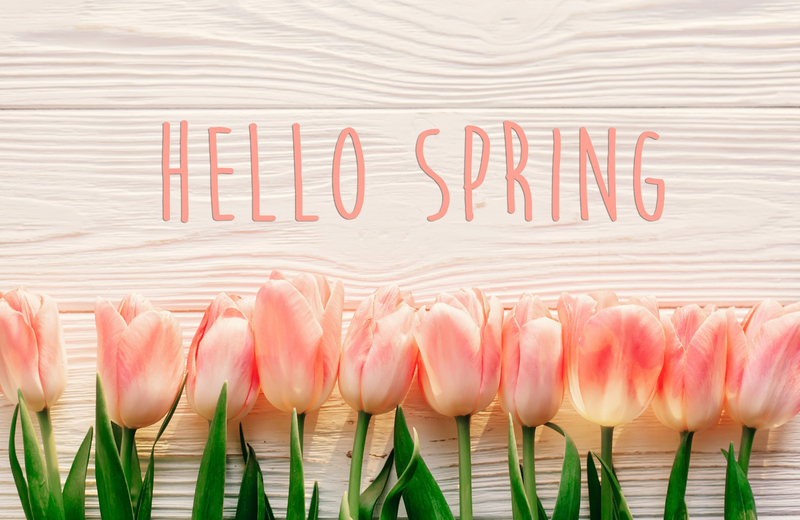 As the flowers begin to bloom and the weather warms, there’s nothing like sprucing up the interior of your home with a fresh look. If you’re wondering what would look best, here are the top spring decorating ideas for the apartments for rent in Manhattan. The first look people are incorporating into their homes is called Stockholm Style, which is an excellent way to make your kitchen look like new. Blonde wood, painted white furniture, and minimalistic designs are incorporated into this style. Think Swedish when it comes to the finishing touches of this look, but with a few splashes of color throughout to really usher in the colors of spring. Geometric patterns, urban appeal, and cool colors are what to aim for if you want to incorporate Stockholm into your home. Borrowing from the 80s revival and the current trend of Matisse styles, black is making a comeback through graphic outlines. Using this dark color to outline the spaces within your home is an excellent way to bring out the rich and vibrant colors within. The goal of this design scheme is to allow air and space to fill the void between each outline. A simple, black, metallic bedframe is an excellent example of how to incorporate black outlines into your home. Window frames, furniture legs, and fixtures are also a great place to start. Two-tone designs were making headway in 2018, but they’ve come into their own this spring. They spare you from having to do a complete makeover, allowing you to simply bring in a separate tone instead. This look often works best in the kitchen even though it can go in any room you desire. White and pale greens are a popular spring combination, but any lighter color in combination with a neutral will pop within your home. Keep both colors refreshing to welcome spring in, adding touches of texture throughout the room to even out the appeal. Yes, beige is back. It’s entering chic designs from bedrooms to living rooms and beyond. Pulling this color off requires a mix of shades, allowing them to work with another in a way that makes multiple pieces stand out within the same color. Multiple beige throw pillows in different shades is the best visualization of this effect. Of course, you can make this design scheme work anywhere. Beige pots for plants, carpet, couches, and more can all combine to create a beautiful look. Don’t be afraid to give this a try in any of your spaces. It creates a cozy, comfy appeal. Go bold this spring and splatter your home with color. This decorating idea ignores traditional spring colors in leu of bold and poppy appeal, destroying the dreary effect of winter all at once. Start with simple aspects like pillows and furniture, then move onto rugs and other décor. To pull this look off, completely ignore the walls. Leave them exactly as they are and focus on the objects within the room. This allows all of your furniture and decorations to stand out in their colorful glory against whatever wall color you have. If your walls are already colorful, then that’s all the better. Pastels and spring go hand in hand. While pink interiors are making a comeback in the design world, you don’t have to incorporate a Barbie-esque design just to incorporate the trend. Turn to warm, soft pastels in a variety of colors, adding splashes of pink as you go along. Mixing textures with your pastels is essential. Velvet and watercolors are top choices, creating an inviting space when you return home or invite guests over. When choosing pastel colors, the paler the better. Scandinavian is combining with African décor to create what some are calling the Safari style. Comprised of Earthy tones and ethnic inspiration, this look is a spring and summer delight. The appeal brings in a coziness synonymous with early nineteenth century while remaining sleek and modern. You can incorporate this unique combination into your home through the use of raw materials. Stone, wood, leather, and rattan will help you pull off a tribal appeal. House plants are also essential to this look. Black and white are striking when used correctly. Monochrome stylings can be used all year-round, giving you the opportunity to add splashes of seasonal color throughout your home. Remember to keep the two colors as even as possible, spreading them out whenever you can through furniture, walls, and objects. Usually, a home or a car being a lemon is a bad thing. When it comes to color, it simply means incorporating beautiful shades of yellow into your living spaces. Sunny, vibrant hues work wonders in bringing out the spring charm of your home. Start will pillows and blankets, which add a pop of color to your existing design elements, then move onto table toppers. The fun of this idea is that you don’t have to paint or buy new furniture. Just walk around adding a touch of yellow here and there to pull the lemon look off. Spring is in the air in downtown Manhattan’s Financial District, home of 15 Cliff. These new apartment homes offer luxury amenities in a convenient location. Spacious layouts, top-tier finishes, and community spaces combine to create an envious appeal. From the on-site café to the landscaped rooftop deck, 15 Cliff ushers in a new era of luxury living in NYC. Keys to 15 Cliff offer more than just a place to call home. The community in this building is enriched through exceptional services and shared amenities that cater to NYC lifestyles. Relax after a long day on the rooftop deck or resident lounge, entertain guests at the outdoor fire pit or grilling stations, and stay active in the on-site fitness center. Transit screens, free Wi-Fi, and on-site management add to your ease of living. Pet-friendly with simple access to Manhattan’s public transit systems, this is a new level of elevated living. Welcome to the downtown renaissance. Welcome to 15 Cliff.